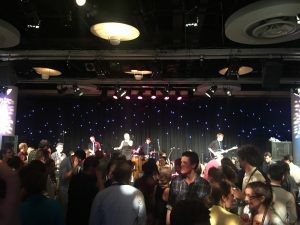 Conference Ceilidh experts: The Reel Time Scraggly Cats entertained a fantastic bunch of biophysicists. The group were attending their 2017 conference at the EICC, Edinburgh. 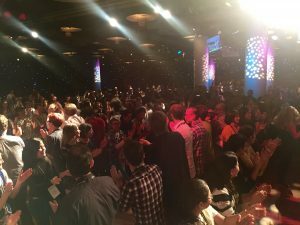 The conference ran over 3 days, with a ceilidh and party night planned for the closing event. 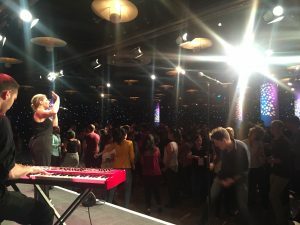 1300 delegates turned out for the party. Leiths started proceeding, presenting an excellent buffet dinner. The event space was left completely open, with no chairs, just a few poseur tables for eating. This made for a really sociable atmosphere, and encouraged guests onto the dance floor, which was packed all evening. The band were accompanied by 8 Highland dancers who were able to lead the way and keep control on the dancefloor. 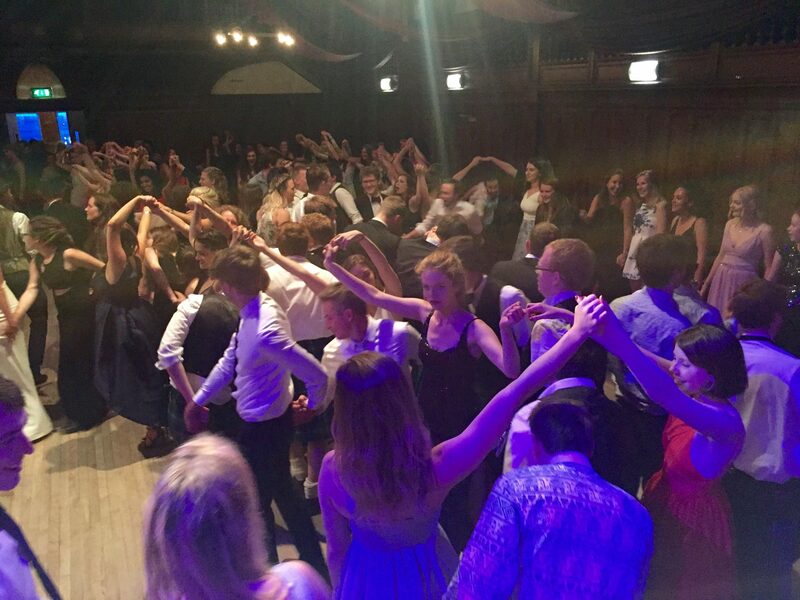 It was great to see international guests, from literally every corner of the globe, come together and ceilidh dance. We stuck to the easier dances, with the faster dances proving most popular! If you are in need of a great ceilidh band who can explain how to dance our Scottish dance to an international crowd, do get in touch for more detail. The great thing about the Scraggly Cats is that as well as being a fantastic ceilidh band. 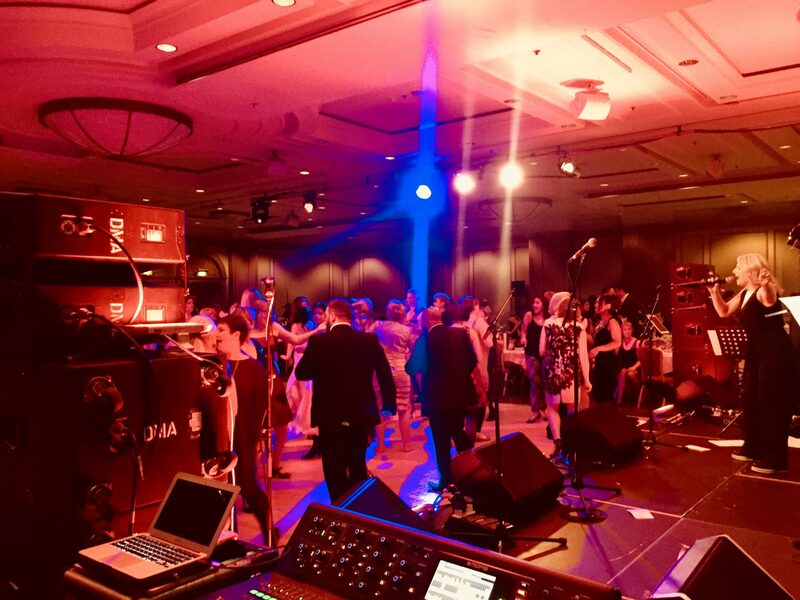 They are also able to keep the dance floor full with pop and rock classics. 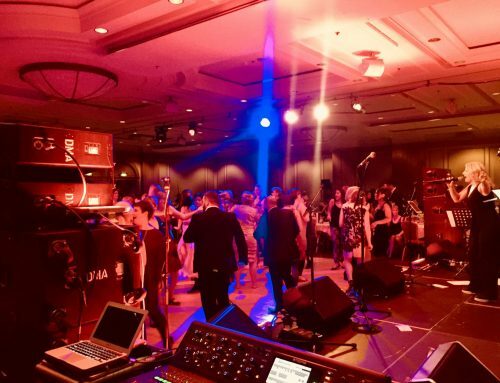 This gives conference organisers the peace of mind that the cultural element will be fulfilled, at the same time as guests enjoying their favourite hits!